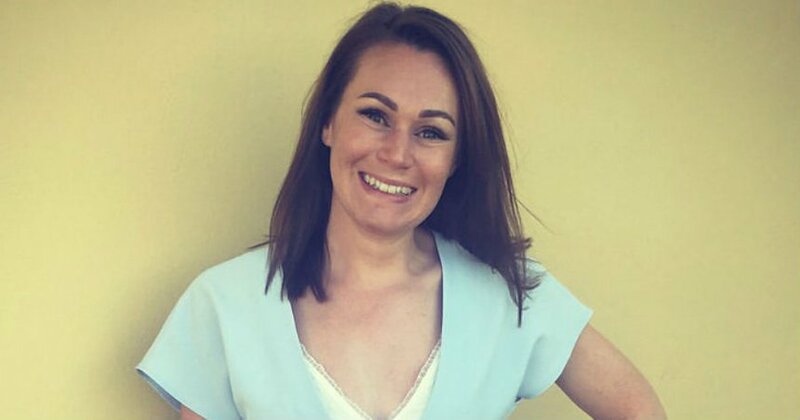 "I remember the exact moment I was told I carried the BRCA2 gene mutation; it was 2014 and a genetic counsellor had broken the news to me in a small hospital office. I recall very clearly how I felt as I had an overwhelming urge to take control. I had made my mind up before I’d even left the room; with an 87% chance of breast-cancer I wanted preventative surgery and I wanted it fast. My BRCA mutation diagnosis didn’t come as too much of a shock; my Mum had battled breast cancer at 48 and my half-sister at just 28. With no access to family history beyond that point the genetic link was always a concern. The next year flew past with a blur of breast specialist, surgeon and psychology appointments. I finally underwent preventative bilateral mastectomies surgery in November 2015. When I came around from the anaesthesia a wave of relief immediately flooded over me. I no longer had the ticking time-bomb of breast cancer weighing heavily on my mind. Over the next six months my expander implants were filled with saline, gradually reconstructing my breast-less chest. I then underwent a further surgery to swap these expanders for breast implants. The surgery was painful, my breasts will never look ‘normal’ and they are also completely numb. I’ll never breast feed and my upper body strength has been affected. Preventative surgery is no walk in the park but it is so much better than the alternative of breast cancer. I think of myself as very lucky and I believe the knowledge of my genetic predisposition is a blessing. "I think about my risk of ovarian cancer, and the lack of screening available, every single day"
Since my preventative breast surgery my life has moved on and I’ve been able to enjoy a full life without the worry of cancer. This year, as I’m approaching 30 and married life, the worry has returned. I think about my risk of ovarian cancer, and the lack of screening available, every single day. The question “So when are you having kids”, that many people think is acceptable to ask just because I’m getting married, jolts me into panic and reminds me of my choices even though I’m nowhere near ready to start a family. For me having my breasts removed was an easy decision but the thought of having my ovaries removed is a harder and more emotionally-charged decision. The associated elements of having a family and early-onset menopause spring to my mind every time I consider my options. It is also the lack of joined-up-thinking in the health service that worries me. No one has spoken to me about my ovarian cancer risk and since my sign-off from the breast clinic I have no access to a medical specialist that understands BRCA. Ovarian cancer has a 35% survival rate in the UK and no screening programme which is incredibly concerning. This is one of the reasons why I’m so happy to join Ovarian Cancer Action’s BRCA Army to support the charity’s amazing work." A study at Queen Mary University London has revealed that screening all women over 30 for BRCA genetic mutations could prevent tens of thousands of cases of breast and ovarian cancer.